"Every family needs an optimist." “My Dog Skip” is a movie about a young boy who is on the shy side who is growing up in Mississippi. Willie’s parents are the ones who gave “Skip” to him for his birthday of nine years old. Skip was a terrier who was full of life. This movie is taking place back in the 1940s. In this movie this shy boy grows into the man he is supposed to be thanks to the help of his dog, Skip, who he cherishes very much. 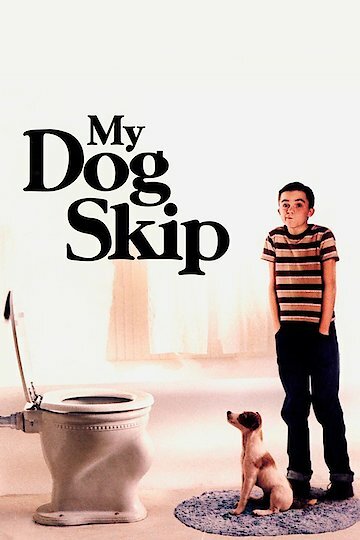 The movie, “My Dog Skip” has a lovely cast which includes Frankie Muniz as Willie, Diane Lane as Ellen, Like Wilson as Dink, and Kevin Bacon as Jack Morris. My Dog Skip is currently available to watch and stream, buy on demand at Amazon, Vudu, Google Play, FandangoNow, iTunes, YouTube VOD online.